Detroit: Become Human Romance guide, Best Endings, Voice actors, and more. Detroit: Become Human has just brought Quantic Dream's unique brand of non-linear storytelling to PlayStation 4. It tells a tale of a not too distant future in which humans rely on androids for many of their day to day tasks. As with the studio's other games, there's an emphasis on player choice, with there being multiple endings possible. 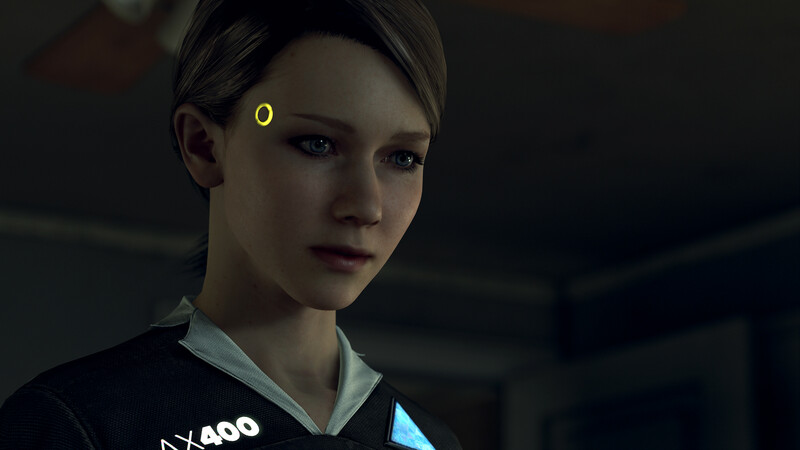 In this Detroit: Become Human guide, we'll run you through key aspects of the game, like controls, romance and character guides, as well as some plot details in our Detroit: Become Human Story Walkthrough guide. Listed below is our complete collection of Detroit: Become Human guides.These will give you info on everything from the game’s cast of voice actors, story details, walkthroughs and ending guides. It’s a narrative driven experience, with multiple choices throughout which drastically alter the course of the game, so there’s plenty to cover, with players taking control of three different characters. If you're looking to get the Detroit: Become Humans controls sorted before you start the game or have forgotten how to do something, we've got a complete controls rundown for you just below. Triangle, Square, Circle, Cross - The face buttons are used for a variety of functions in the game. Often, they will be used in quick-time events, with each button appearing on screen for players to press. They are also used when making dialogue choices, with each choice assigned to a different button. Right Stick - The Right Stick is predominantly used to interact with the environment. Certain gestures assigned to the stick perform different movements like examining objects, opening doors and picking things up. It is also used to control the camera. R2/L2 - Used to fast-forward or rewind when viewing reconstructions. TouchPad - Swiping the TouchPad is a way to interact with certain objects like screens and other tech. Detroit: become Human is set to launch exclusively for PlayStation 4 on May 25, 2018. As with many big game releases, Sony is giving players the chance to pre-load the game. This is especially helpful to those with slow internet download speeds, as they can complete the download before release date, when the file will unlock. Detroit: Become Human preload will be available May 23, though exact timings have yet to be announced. The base install Detroit: Become Human file size will take up 41.4GB of space, so be sure to plan accordingly. Detroit: Become Human is set in the city of Detroit during the year 2038. In it, the city has received an industry boom and has been revitalized by the rise in popularity of android workers. The city is a hub of sorts for the android industry, much in the same way Detroit was the centre of the American automobile industry in the decade following World War II. 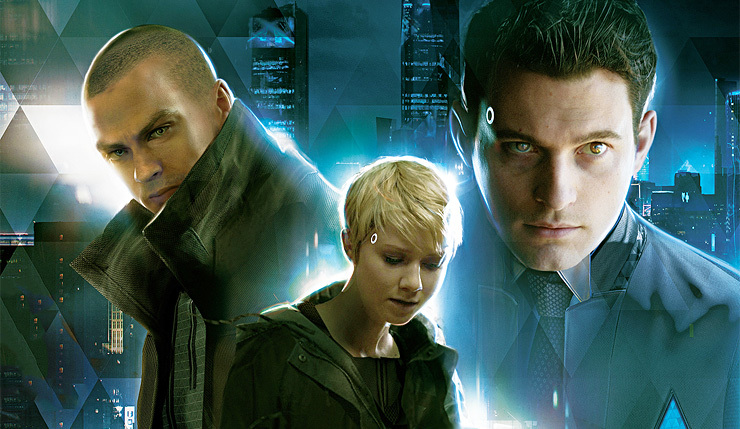 Players control three separate androids throughout the game; Kara, Connor and Markus. Each has a different role in the world, with Connor being a crime-scene investigator, Kara a domestic servant, and Markus a prototype model who jump-starts an android revolution. The game tasks players with making a series of important choices while playing, which in-turn affects their gameplay experience. Much like other Quantic Dream games, there are multiple endings to play through, and the possibility that any of the three characters can die during the game’s campaign. One of the missions from the game sees Connor investigating a crime scene, in order to conduct a hostage negotiation with a deviant android named Daniel. This sequence can be played as part of the Detroit: Become Human demo, and features multiple endings in itself. Players first comb through a crime scene, piecing together information which may help them during the negotiation. The rogue android can be confronted at any time, though chances of success increase with the more information gleaned from investigating the environment first. Each character gets their own set of missions, much like Connor with the hostage level. Detroit:Become Human will have a ton of replay value after you’ve beaten the game once, given how many branching paths and multiple endings there are. Keep in mind that we will be updating this guide with more information as we get it, and intend to add more to our list of in-depth guide pages as we uncover more details about Detroit: Become Human. Quantic Dream's titles finally drop their PlayStation exclusivity.